Josh and Lyndsay dreaming in 3 dimensions as usual! What happens when you put a bunch of creative minds and circus together? Evidence has shown that many interesting projects evolve. This one may top them all. 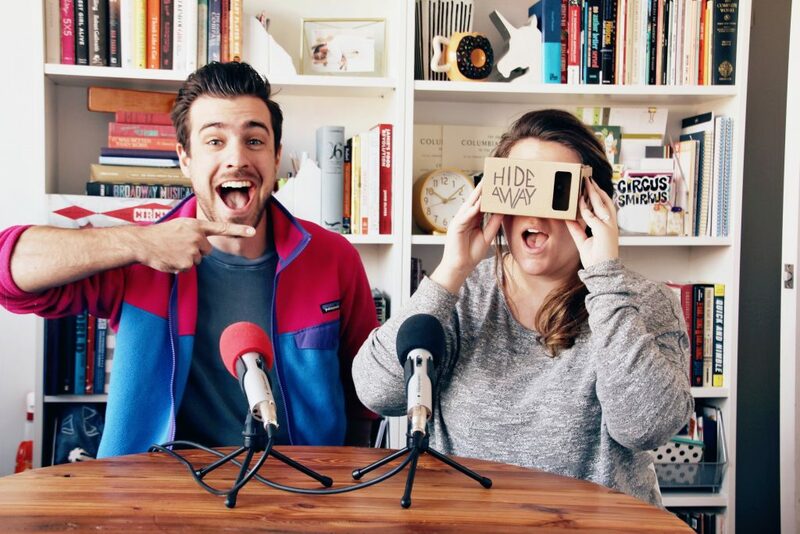 Lyndsay and Josh of Hideaway (who Hupdate interviewed about their circus podcast back in September) have a new venture. It is a 3-D trip around the world with circus performances. There will be cameras on crossbows. There will be dance infused circus. There will circus infused dance. There will be Aussies and Americans coming together. It will be great! They need a little help kickstarting the project, and you need to watch the video for maximum awesomeness.